Chances are you are not carrying as much cash as you did in the past. You are not alone. According to the Federal Reserve Bank of Boston, there were some 176.8 Million Card Holders in 2010. Further, the average cardholder carries 3.5 cards. 80% of all consumers carry a debit card. Approximately 60% of all consumers have a rewards card of some kind. That is a lot of plastic! Many factors contribute to the paper VS plastic ratios in the payments world including convenience, loyalty point and rewards programs, speed of check-out, security, etc. So, as a merchant, it is absolutely necessary in this day and age to accept as many forms of payment as possible. Hence, you need to select a merchant service provider. So, what are the things you should consider? Where do you begin? I have never been in the business of payment processing. However, spending the last thirteen years of my career in the point-of-sale software business, I have learned quite a bit about the payment processing industry. To provide a complete POS solution, we must be able to provide payment processing options that are seamlessly integrated with our software. Consequently, I have spent a great deal of time working with companies in the payments industry and learning how it all works. The world of payment processing is complex for a number of reasons. Security and fraud protection is key. There are lots of people involved and lots of technology that comes into play with each and every transaction. You most likely receive calls from payment processing companies several times a week. They want your business and they promise differentiators from the last 500 companies that called you. All you want is to accept credit cards and pay the lowest rate possible. Right? So, what other considerations are there? 1. Eliminate as many layers as possible. There can be lots of layers in payment processing. There are ISO’s, gateways, software companies, processors, acquiring banks, card issuers, etc. With each layer comes potential points of failure and often times additional costs. So, focus on buying direct as much as you can. Sometimes, bigger is better. This may be one of those times. 2. Be sure that your payment processing selection is compatible with your POS software and hardware. Many of these providers use proprietary systems and devices that may or may not work with your POS. If the payment processing is not fully integrated, you could spend hours on reconciliation each day and significantly decrease your speed of service. 3. Seek clear and concise pricing models and transparent merchant account statements. If the company does not provide full transparency, it is difficult to decipher what you are actually paying to process transactions. That is typically by design and means there are hidden fees along the way. Ask for “interchange plus” pricing. 4. Avoid long-term contracts and cancellation fees. In today’s climate, you never know what tomorrow brings. New security standards are just around every bend. Less expensive options may be as well. You might switch your business model or upgrade your POS system. Who knows? It is best to be free of long-term obligations with payment processors just in case changes occur. 1. With 1-second approvals, it is faster than cash. 2. His employees and managers spend several hours a week reconciling cash drawers. 3. He sends employees to the bank in the inner city several times a week with large amounts of cash. In his mind, electronic payments are the way to go. They speed up service, free up employees to take care of customers and decrease his liability with the banking issue. When I asked him what he planned to do when cash-carrying customers grew angry over the new cashless system, his answer was a great one. He said that it would only happen once. He would pay for their lunch and gain a customer for life. Most merchants go through a detailed process to select the right POS (point-of-sale) solution for their business. There are several factors to consider which we discuss in our POS Solution Selection Checklist and our POS Selection Guide. These factors vary in level of importance from one market segment to another. Once that decision process comes to a close and the POS selection has been made, the merchant is faced with the POS implementation process. Most of the challenges and issues involved with the implementation process are consistent among the different market segments. The POS implementation process is critical to the success of the POS deployment. So, what can a merchant do to ensure a successful deployment of the new POS system to protect the investment? There are several issues to consider and tasks to complete by both the POS solution provider and the merchant prior to the first live transaction processing through the new POS. Below are just a few critical items that require attention and cooperation between the solution provider and the merchant. 1. Hardware – Whether purchasing all new hardware or salvaging hardware from previous systems, it is critical that all hardware used in the deployment is compatible with all the new POS software. Nothing is more frustrating than struggling through compatibility issues when rolling out a new POS solution. Vendors and merchants must work together to ensure that every last detailed requirement is met from a hardware perspective prior to installing new POS software. 2. IT Infrastructure – Similar to hardware, proper networking components and topology are critical to the success of a POS solution deployment. POS systems handle sensitive data that must be secured. POS systems are mission-critical in retail and hospitality environments so network connectivity can be key to the successful operation of the POS on a daily basis. 3. Data – With POS data, a few factors come into play during a new POS solution deployment. First of all, data must be converted from previous systems to avoid countless hours of typing just to get the new POS off the ground. When converting from a cash register to an automated POS system, data can be gathered from the merchant’s suppliers to be massaged and converted into the database format of the new POS system. 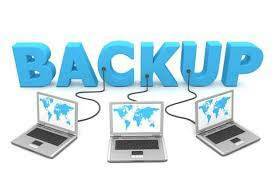 Configuration of a data backup and disaster recovery plan also needs to be part of every POS deployment. The POS data is the only component of the POS solution that is truly unique to the merchant and cannot be easily replaced in the event of a disaster. 4. Integration to Existing Systems – Prior to launching a new POS system, it is critical that seamless integration is provided to existing systems that will continue to be in use by the merchant. For example, be sure the new POS system will integrate smoothly with the back office accounting package in place and the merchant services/payment processing systems in place. 5. Adequate Training – End user training is arguably the most important factor in a successful POS deployment. Typically, owners and managers are trained to be “site experts” on the new POS solution. This allows them to be somewhat self-sufficient moving forward so that ongoing training from the POS solution provider becomes less necessary. As new employees come onboard with the merchant, owners and managers need to have all the knowledge and tools necessary to teach employees proficiency in the operation of the new POS system. Protect your POS investment by focusing the required time and energy into the implementation process. After all, a great deal of time, energy and money are normally put into the POS solution selection process. It doesn’t stop there. The POS deployment project must be carefully planned and executed to ensure the success of the project. For more information on issues to consider when deploying a new POS solution, download our free guide today. Surprisingly, most current POS software buyers are still seeking on-site deployment despite the “to the cloud” movement that seems to prevail in most other market segments. Software Advice found that of those buyers who did express a deployment preference, 66% of them preferred on-site deployment VS a cloud solution. Based on my conversations with business owners regarding POS, I would comment that most of this mindset comes from the fact that POS is mission critical to these buyers. They feel that any down time will cause panic and be disastrous for their core operations. They fear that cloud solutions introduce additional points of potential failure that might cripple their operations during peak periods of business volume. In this research, Software Advice found that 33% of POS buyers are currently using a POS system and looking to upgrade it or switch to another provider. Surprising to me was the fact that 25% of the buyers had no POS system in place while an additional 14% used manual methods and an additional 18% used basic cash registers. So, not only are these business owners reluctant to utilize cloud technologies to run the business; many have been reluctant to use any modern technology whatsoever. In terms of reasons for buying/upgrading, Software Advice found that there is certainly a correlation between the current systems in place and the reasons for shopping. 39% of buyers indicated that they are seeking to gain/improve efficiency. This comes as no surprise with large numbers of buyers using manual methods and/or no systems at all. Another 20% of buyers were seeking more functionality. This indicates that many of these buyers are using older legacy solutions or have growing businesses with growing needs that require more robust POS solutions to maximize ROI. To view the full report from Software Advice, please visit http://www.softwareadvice.com/retail/buyerview/report-2014/. The 2013 Holiday Shopping Season is upon us. Malls will quickly be packed with shoppers seeking something special for that special someone. However, despite the amazing variety of products and services available, many shoppers find themselves coming up empty while seeking the perfect gift for certain people. Hence, the popularity of electronic gift cards continues to rise. According to NRF’s Gift Card Spending Survey conducted by Prosper Insights & Analytics, holiday shoppers will spend an average of $163.16 on gift cards, up 4.0 percent over the $156.86 they spent last year and the highest amount in the survey’s 11-year history. Total spending on gift cards will reach $29.8 billion. Similar studies also report that up to 20% of gift cards are never redeemed! So, how can merchants maximize this incredible sales opportunity? Awareness - be sure to display your gift cards in an attractive way that is perfectly visible from several customer touch points within your store. Both printed and digital signage should also focus on your branded gift cards throughout the store. Also, your employees should be equipped with suggestive selling techniques to build gift card sales with existing customers. Availability - be sure to offer gift cards on your e-commerce site in addition to your brick and mortar locations. The U.S. Census Bureau reports that 48.1% of total retail transactions in 2008 and 2009 were completed via e-commerce sites. Also, don't find yourself running out of physical cards during the Holidays. Stock up now if you have not already. Creativity - during the season of giving, many merchants will make donations to various organizations. Instead of donating money or your products, try donating gift cards. This is a great way to acquire brand new customers that have never visited your business prior to being presented with a gift card. Although you donated the card, you may achieve an ROI by retaining this new customer for future sales growth. January and February can be a real drag for merchants. Customers are returning items as often as they are making purchases. 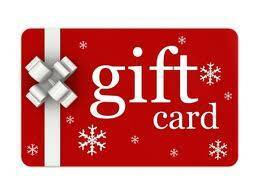 Successful Holiday Gift Card sales programs will combat some of those wintertime sales blues by driving traffic to your facility for gift card redemption. The most commonly cited problem area buyers are looking to fix with a new POS purchase is an increase in accuracy and effectiveness. 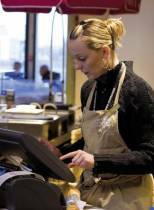 Over a third of buyers are already using POS software. Almost all respondents are seeking inventory management capabilities, with almost half seeking customer management functions. 1. A well-designed and properly-deployed POS solution can provide a significant increase in the accuracy and effectiveness of any retail operation. Solid POS solutions eliminate pricing errors, maintain inventory levels in real time, eliminate manual processes, minimize the room for user error and provide detailed information for powerful analysis. POS software that provides fully integrated payment processing eliminates a large portion of the daily reconciliation process that takes place with non-integrated solutions. 2. The fact that over 1/3 of the buyers are upgrading from an existing POS software comes as no surprise to me. Technology changes rapidly. Often times, business requirements change rapidly as well. A POS solution provider must constantly build upon its core offerings to meet the demands of the business owners and remain current with the latest technology platforms and security requirements. Anything less leaves business owners shopping for new solutions. 3. Inventory management lies at the heart of most retail operations. It is typically the largest investment and greatest asset to the retailer. Real time perpetual inventory management provided by a POS software solution reduces the daunting task of keeping track of this large investment. Successful retailers must maintain an inventory that is constantly moving. Shipments arrive daily. Sales and returns take place at a rapid pace at multiple terminals and/or multiple locations. Products are transferred from store to store. RMA’s are issued. Back orders are processed. All of this can become effortless with a POS solution that provides a robust inventory management module. The full report from Software Advice can be viewed here – Point of Sale Buyer View 2013. There are a few reasons for this increase in frequency of this question. Just like in the financial markets, diversification works. Bakeries are supplementing their core business with retail merchandise that fits their persona. Specialty food retailers are offering tastings to enhance their core retail business. Cafe owners are adding and/or increasing retail portions of their business to increase sales per customer and build brand awareness. Coffee shops are obtaining liquor licenses to offer wine and craft beers to boost their evening sales. So, the challenge remains and with good reason. I have always been a true believer in the "do one thing great" concept. I realize it's simple and improper grammar but eloquently so in both regards. Fortunately, most POS developers agree and build applications that are extremely focused on specific markets. There are significant benefits in being vertically focused when developing POS. Most of them revolve around the aforementioned “do one thing great” concept. Point-of-sale software and hardware packages are very complex animals. Selling, delivering and supporting them become much easier when there is a strong focus on certain vertical markets. However, with the climate changing in many verticals, a great deal of crossover exists today in terms of product mix being sold by merchants. As mentioned earlier, merchants are adding related products and services to complement their core businesses. In the examples above, retailers are adding services and hospitality items while QSR’s who traditionally have hospitality items are adding retail components to their business to increase revenues. Consequently, many of these merchants find themselves growing out of their POS systems since they are branching out of the traditional functionality needs of their standard market. So, when you as a merchant start thinking outside of the box to gain that edge over the competition or to generate other revenue streams, what are you supposed to do about your POS? Your retail POS does not support hospitality functions. Your hospitality POS does not support the retail components you just added. Deploying two systems is simply not practical. You need a system that fills the gap. You need a hybrid. If you find POS companies spending time and energy in these spaces, they most likely already have an offering that is a bit of a hybrid in terms of features and functionality. These vertical markets have demanded hybrid systems for decades simply due to the nature of their business. So, if you are going through some diversification in your offering and your POS is stunting your growth, look outside your market for other solutions. You may be pleasantly surprised. For more information on other things to consider when seeking POS solutions, click HERE for a FREE white paper. Cash Register or POS for my Small Business? 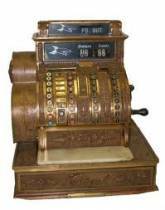 The cash register was invented in 1879 by James Ritty. James Ritty was a saloonkeeper in Dayton, OH whose bartenders often pocketed the profits instead of turning them over to their boss. James’ brother John was a mechanic who helped him design the first, most basic of cash registers to preserve profits in their saloon. The original device did not even provide a drawer for storing cash. It consisted of a series of keys that represented specific amounts of money. The concept came to Ritty while he was on a steamboat trip to Europe. He found himself intrigued by a device that counted the number of rotations in the ship’s propeller. Brilliant! Since 1879, the cash register has evolved quite significantly. The most basic of cash registers (similar to Ritty’s original) can still be purchased at office supply stores and on the web. Extremely sophisticated and more expensive cash registers can be purchased through dealerships that provide service agreements and of course, on the web as well. Although PC-based and Mac-based automated POS solutions are readily available today, thousands of cash drawers are still in place in storefronts, bars and cafes all around the world. Clearly, many independent merchants have not fully embraced the POS technology available in the information age. Today’s modern POS solutions provide a multitude of features and benefits that even the most expensive and sophisticated cash drawer cannot deliver. Most automated POS systems are more compact, more robust, and easier to operate and comparably priced. Yet merchants continue to deploy newer versions of a device that was invented in the 1800’s. In talking with merchants in the field, I find that much of this stems from a “don’t fix what isn’t broken” mentality. Others fear that deploying automated POS solutions might be complex and/or expensive. Some even fear that the data trail created by a POS solution might negatively affect their business tax situation with the IRS. Others simply don’t seem to understand the benefits or realize the ROI generated by today’s modern POS solutions. · Eliminate all user errors on pricing, payment processing, etc. Clearly, this is a very small sample of items to consider when weighing the pros and cons of cash register VS POS solution. If you are an independent merchant debating the upgrade from a cash register to POS or just getting started with your business and would like to learn more about things to consider, download our free checklist today. As a POS (point-of-sale) solution provider, we see a great deal of underutilization of functions and features far too often. Business owners make the commitment and the investment to automate their retail or hospitality operations. Typically, a great deal of time and energy is invested in selecting the appropriate solution provider. However, after implementation, many POS solutions quickly become glorified and expensive cash registers. Sometimes, this situation is the fault of the solution provider. Failure to educate the merchant on features that might provide additional benefits obviously results in the underutilization of the complete POS solution. Failure to provide proper training on these functions results in the same failure. Other times, the merchant is at fault by ignoring the power and potential financial gains that can be realized by taking full advantage of the power of the POS solution. Being that this opportunity is a two-way street, we would like to offer some insight on features and benefits we see as underutilized in the field every day. In order to maximize the return on investment for a POS system, it is critical that the merchant take full advantage of all the solution has to offer. In rare occasions, there are situations where the efficiencies gained provide enough savings to the operator to justify the cost in time, energy and money used in a POS deployment. However, most times there are opportunities left on the table due to ignorance and/or underutilization of the power of POS. The reality is that a solid POS solution should do much more than save the merchant time and money through efficiencies. The solution should also provide marketing and revenue generating functions that can transform the POS from a cost item to a profit generator. This provides the win-win scenario that all business transactions should contain. The solution provider is able to charge more for licensing and services while the merchant gains both efficiencies and ways to generate additional revenues. 1. Email/SMS Marketing – Most independent merchants have something in place in this area. Companies like Constant Contact, MailChimp, HubSpot, etc provide powerful solutions for communicating with customers and prospects. However, merchants often fail to utilize the power of the POS data that is gathered over time. When the POS solution has its own email/SMS marketing component, extremely targeted communication can be sent based on purchase history, frequency of visit, loyalty levels, preferred products and services, etc. If no internal marketing platform exists, it is still wise for the merchant to analyze this POS data and utilize it through 3rd party providers like the ones mentioned above. 2. Gift Card Processing and Promotion – Providing gift cards through the POS system can increase revenues significantly. There are many published findings on this topic. But, it is far too much information for the purposes of this blog. However, ignoring this opportunity is like a merchant refusing to accept free money. This is also a great opportunity for gaining brand new customers when these cards are passed along as gifts. 3. Customer Loyalty Programs – Most POS solutions offer integrated customer loyalty. Some solutions provide internal programs. Others utilize 3rd party integration. Some combine the two offering complete flexibility. In any case, we have found that many merchants fail to take full advantage of these features. Whether it is time and effort or luck and happenstance that brings a customer to a merchant, the onus is on the merchant to give them every reason to return and spend more money in the future. Utilizing a loyalty program via the POS system is a simple and cost-effective way to accomplish this. 4. Integrated E-commerce – Many brick-and-mortar merchants extend their offerings to the entire planet by offering integrated e-commerce solutions. Most POS solutions provide some type of integrated e-commerce platform. However, surprisingly enough, many merchants still offer only traditional POS commerce where the consumer must have a physical presence at the merchant’s location to make a purchase. E-commerce provides convenience to the consumer, extends the reach of the merchant geographically and opens the store to the worldwide audience. 5. POS-integrated Marketing/Promotional Tools – If the POS solution offers emailing of receipts, the merchant gains the power of gathering customer data for future promotion. Further, the body of the email should contain marketing messages to promote the merchant and return visits in addition to the transactional information. Customer displays attached to the POS system should promote in-store marketing messages. Paper receipts should contain some type of marketing messages. Coupons generated through the POS system can promote future visits to the establishment. The list goes on. These various items are simple yet powerful and often overlooked or ignored by merchants. The bottom line is that the POS solution deployed by merchants should not be viewed as an expense. It can actually be a powerful revenue generator. The difference is often in proper deployment, training and the operator recognizing this concept instead of only factoring gained efficiencies into the POS ROI calculation. To learn more about ways to maximize the power of your POS solution investment, download our free solution guide today! Multi-site merchants are faced with numerous challenges. This is why the franchising model continues to grow in its success. However, many independent business owners continue to operate multiple locations without going out to the franchise market. Obviously, it is impossible to be in more than one place at the same time. So, owners must build a solid and trustworthy team of people around them to ensure profitability. In addition to the team of people, owners can utilize powerful technology tools that reduce the desire to be in several places at once. For merchants, the POS (point-of-sale) system deployed in their storefronts is typically at the core of the technology infrastructure of their business. 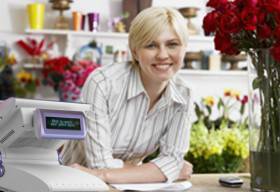 The POS system automates many functions that drive the success of the business. The POS solution manages inventory, payment processing, invoicing, gift and loyalty programs, customer relationships, targeted marketing, etc. All of these items become more complex when spread across multiple locations owned by the same entity. 1. Everything must happen in real time. In this day and age of constant connectivity and sophisticated data centers, there is no reason a merchant should have to wait for a batch synchronization of data. Aside from the unnecessary wait time, data synchronization contains too many moving parts that create potential points of failure. These points of failure lead to headaches for the merchant. 2. The POS must be scalable with no limitations. Multi-site owners are successful and will continue to grow the business. There should be no technological limitations to the number of locations to add to the POS deployment. 3. The POS solution should perform the same as it does for a single site deployment. Often times, POS providers will shift the application to a browser-based model if the merchant owns multiple locations. The browser is great for Facebook and online banking. However, it is difficult to build a POS solution that is robust and user-friendly within the framework of a web browser. 4. The POS rollout should be simple. Adding additional locations to a POS deployment should require very little configuration changes, minimal set-up tasks and no training. It should be a flip of a switch to add on additional sites. 5. The POS investment should be scaled. In other words, the merchant should not have to purchase the solution over and over as locations are added. The pricing should be scaled in such a way that the investment required in the POS as locations are added is less than the original purchase. Robust POS solutions provide multi-site operators with powerful tools to operate all locations from one place. For other items to consider when seeking POS solutions, download our free selection guide today. 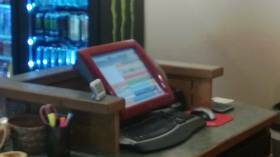 Most QSR’s (Quick Service Restaurants) use an automated POS system. The need for speed in the industry is such that QSR’s were early adopters of technology that helped to serve the customer as quickly as possible. Other necessities such as cash controls, high-speed integrated credit card processing and waste controls drove QSR’s from cash registers to sophisticated POS systems long before most other types of merchants. However, many independent QSR’s are still faced with additional technology challenges. Controlling labor costs while providing superior customer service is one of the greatest challenges for QSR operators today. So, how can POS technology provide both customer service and convenience while saving time for the staff? One way is to provide integrated online ordering solutions for QSR’s. Sure, all the big QSR chains are providing online ordering to their customers. They typically have the capital and/or the internal IT resources to build something to their exact specifications. So, how does an independent QSR operator compete with the national chains in the online arena? After all, it is critical to every business in this age of technology and constant connectivity to have a superior web presence and to offer all the online services possible to the customer. The most difficult challenge for independent QSR operators seeking to implement an online ordering system is finding a POS technology provider that offers a completely integrated package that is affordable. For some helpful ideas in selecting technology providers, download our free system selection guide today. Gift shops are some of the finest hidden treasures in the retail segment. They come in many shapes, sizes and flavors. Most focus on specific target audiences while others provide gifts of all kinds depending on the location and other factors. Aside from resort and airport locations, most gift shops are independently owned and operated by small business people. Consequently, it is very rare that a gift shop business enjoys the luxury of the budget and/or the technology infrastructure you would find in corporate America. So, how do gift shops obtain the technology they need to compete and run efficiently like the big box stores do? After all, the owners are faced with the same challenges that larger retailers combat with high-end, expensive technology. Although it may be on a smaller scale, gift shops still need to control inventory, manage cash flow and provide excellent customer service. However, many gift shop owners continue to fight this battle using manual processes due to lack of education on retail technology available and/or lack of funds to implement systems. 1. Real Time Inventory Control – Gift shops carry extensive inventory. Often times this inventory is made up of thousands of small parts. 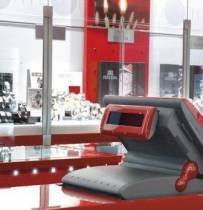 Gift shop POS solutions provide all the controls necessary to maintain appropriate stock levels and control profit margins. 2. Pricing and Theft Controls – Even the most basic of POS systems can assist a gift shop owner by eliminating pricing errors and reducing theft. Cash registers leave far too much room for operator error and provide limited (if any) reporting power. 3. Superior Customer Service – Although a gift shop is not always the fastest paced environment, customers still appreciate a speedy checkout experience. The right gift shop POS solution will provide 1-3 second transaction times. Further, POS systems often provide robust customer management modules that provide critical information to speed up returns, suggest additional up-sell/add-on items, recognize customers by name, track and reward customer loyalty, etc. 4. Sales and Profit Boosters – A robust gift shop POS solution will provide additional features to assist the gift shop owner in growing the business. Examples are integrated gift cards, customer loyalty programs, integrated online stores and email marketing initiatives based on customer history stored in the POS system. 5. Efficiency of Operations – Gift shop POS solutions eliminate several manual processes for the business owner. When the right POS system is in place, gift shop owners and staff members spend a fraction of the time dealing with tedious activities such as pricing/tagging of items, reconciling cash registers and credit card terminals, placing orders with suppliers, etc. When the POS system eliminates or assists in these activities, more time is available for the staff to focus on customers and other money-making activities that grow the business. Although the list of benefits provided above is fairly short, it depicts some of the power of implementing a POS solution in a gift shop. So, how does the owner of a small gift shop afford such powerful technology? Surprisingly, POS providers that focus on the gift shop segment often offer solutions that are extremely affordable. Some of these systems are offered on a “pay-as-you-go” basis to eliminate risk and large up-front investments. Typically, the investment pays for itself in the form of controls and gained efficiencies that simply cannot be provided by the most sophisticated of cash registers. In any case, there is a great deal to consider when selecting the right POS solution for your gift shop business. For more issues to consider on the topic, download our free guide prepared to assist you when seeking the right POS solution for your business. 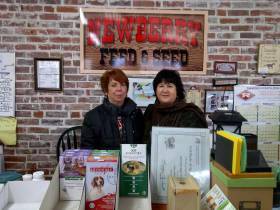 Farm and Feed stores are relied upon heavily in the communities they serve. While some serve primarily as supply houses for farmers, others provide a broader range of products and services for the community in which they operate. This is typically driven by location and the proximity of the feed store to other types of retailers that serve each community. Both large and small, feed store owners and operators face the same business challenges as big box retailers. Although some of these challenges may be on a smaller scale, they do exist and each has an impact on the bottom line. Examples of these challenges are inventory controls, cash management, customer service, payment processing, etc. Farm and feed stores are turning toward point-of-sale (POS) technologies to assist them in maximizing efficiencies and combating these everyday challenges in the business. 1. Inventory Controls – Most feed stores sell thousands of unique products. Without a POS system, managing the inventory can be a very time-consuming and tedious task. A POS solution provides the tools for bar coding and scanning at POS, at shipment arrival and at physical inventory time. This reduces errors in all of these processes allowing the owner or operator to maintain full control at all times. 2. Speed of Service – Especially during peak periods, moving customers through the store quickly is critical. Now more than ever, maintaining the existing customer base and providing a great first impression for new visitors are critical objectives for farm and feed store owners. A well-designed POS solution provides the speed and accuracy to produce 1-3 second transaction times. Compare this to a cash register or paper system combined with a separate credit card terminal (eliminated by the POS solution). Multiply the difference by the number of transactions on any given day. You may find that you are gaining hours each day! 3. Customer Accounts Receivable – Most feed stores have customers to whom they extend charging privileges. Although this is a great customer service offering, it can also become a labor intensive process if not automated. The right feed store POS solution provides internal accounts receivable functionality. This provides fast and efficient management of all accounts, aging and collection activities. 4. Cash Controls – Daily reconciliation with a well-designed POS solution is a snap. With integrated payment processing, it is essentially impossible for an operator to make a mistake on any electronic payment transaction. Cash transactions still leave room for errors. However, a POS system minimizes those errors by providing tools in the POS module to eliminate the need for the operator to think and/or perform any math. Robust reports provide quick and easy reconciliation of every till. Built-in security features promote accountability of every operator for every transaction. 5. Accuracy/Efficiency – Farm and Feed POS solutions eliminate pricing errors completely. They also provide real time information that allows for intelligent analysis that is used to make the purchasing and staffing decisions that have a great impact on the bottom line for the operator. Eliminate the “guess-work” from the entire operation and make the right decisions based on factual information in the POS data. Although the list continues, these are 5 of the most beneficial components of a well designed farm and feed store POS solution. To learn more about things to consider when seeking the right POS system for your farm and feed retail business, download our free checklist today.